Recently, my dear, sweet soul-mate advised she wanted to travel down south to visit her niece and share some time with her two grand nephews; and two grand boys they truly are! So, as is the breakdown of duties in our household, once my darling makes her decision it is up to me to put the necessary arrangements in place. I have two major dislikes when my wonderful wife travels. The first is that I will miss her and slip into a life of idleness where nothing gets done (although I will cook some hot, hot curries while I have the chance). The second is that I will have to drive out to the airport to drop her off and then collect her on her return. I have a total aversion with travelling to the Brisbane Airport. Driving there from the beautiful Redlands, the problems start with having to pay a toll at the Gateway, then driving all that way out along Airport Drive, constantly changing lanes to make sure I'm in the right lane to veer into the parking station to find an expensive parking spot somewhere near where I want to be. Then it's usually a fair walk through the jostling crowd to the place you then start waiting in those snake-like queues. Then, when it's time to go, paying for that extremely expensive parking spot, finding the car again and, on the way home, having to pay another Gateway toll – you north and west-siders can delete the tolls unless you take the Airport Link. This time it was different and, by chance, I resolved my second major dislike forever. 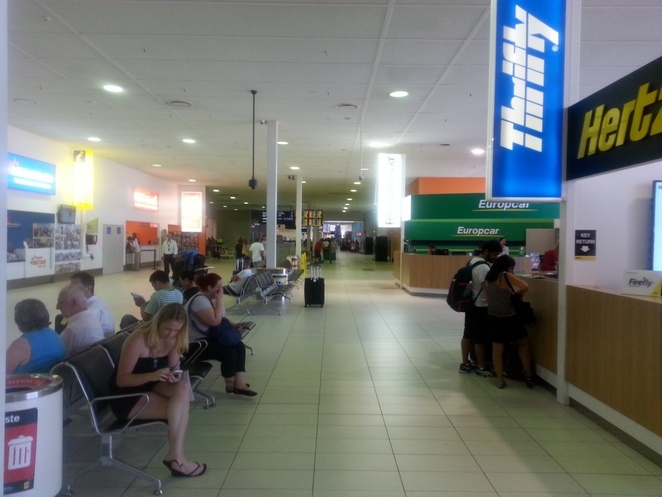 As I hunted for the best (cheapest, if you prefer) fares I came across flights to and from the Gold Coast Airport or, as it is recognised by its IATA Airport code, OOL, a carryover from when it was the Coolangatta Airport. As you may have guessed from its previous name, the Gold Coast Airport is at the southern end of the Gold Coast with access directly from the Gold Coast Highway via Terminal Drive, Bilinga. Uniquely, the airport has its runway straddling the border of Queensland and New South Wales which, in summertime, means it's in two different time zones. Fortunately, the Gold Coast Airport operates year round on Eastern Standard Time which must cause some confusion for our southern friends. It probably makes for some internal upheavals during State of Origin. 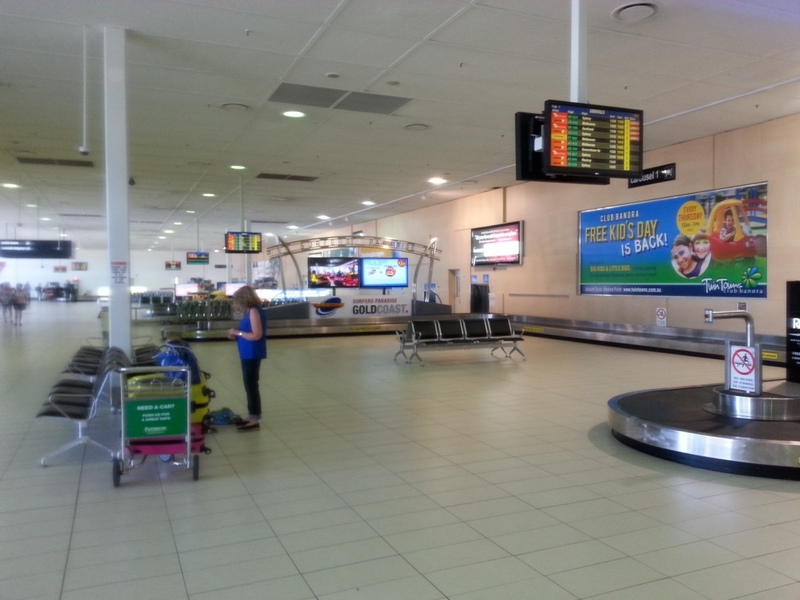 It takes just a little over an hour to reach the airport from the beautiful Redlands – not much longer, if any, than getting to the Brisbane Airport. When we got there the parking was a great surprise. We easily followed the signage and drove into the designated area and had a selection of spaces in front of us. Not knowing the layout of the terminal I took the first available which was within about 30 metres of the gate and undercover. As it turned out, where you park doesn't really matter as it's not difficult to get to either the departures or arrivals inside the terminal – based on my experience. Inside the terminal there is a variety of dining, contemporary fashion and shopping experiences along with expanded Duty Free Stores. That's right, Duty Free. All in the one terminal you can catch flights from OOL to Dallas Fort Worth, Los Angeles, Berlin, London, Paris, Malaysia. Thailand, Japan, China, Macau, Vietnam and South Korea as well as most major centres in Australia. You can even catch a flight to the major centres in New Zealand, all four of them. But it's not just the food and shopping that sets OOL apart from its nearest rival. Once we got to the check-in desk we did have to stand in line but the waiting was over within about five minutes. We then headed off and partook of delicious flat whites and toasties to make up for our missed breakfast. While the coffee was very good and the food of reasonable standard we did have to pay airport prices for them. 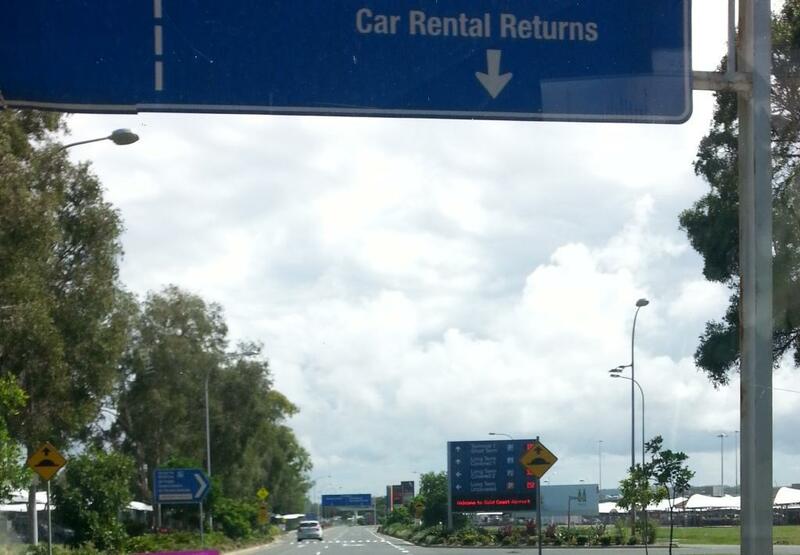 Speaking of airport prices, one vastly different pricing scale from Brisbane Airport is the parking. I didn't note the actual costs, other than the first 10 minutes are free, but when I left on the first occasion it cost me $8. This included the time taken to have breakfast and wait with my delightful darling until she went off to board her flight. When I came back to collect her, after meeting the flight and enjoying a coffee with a catch-up chat, parking only cost $6. I know that's a lot cheaper than Brisbane. Other advantages I noticed on my two visits were the terminal is spacious and even in the morning when everybody was checking-in there was no crowding and everybody seemed to flow along. Of course we could not understand a word said over the loudspeaker but then, this is an airport. 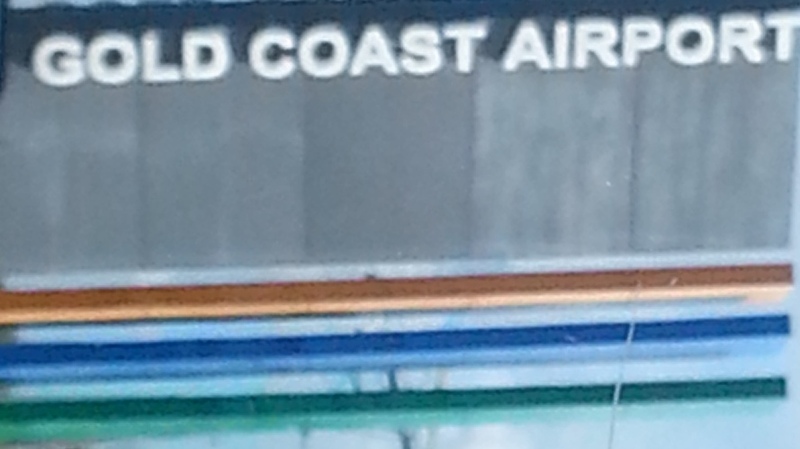 All in all our experience at the Gold Coast Airport was positively positive and I would recommend it to anyone who would like an easy start and end to their travels. A little extra highway travelling time, in my view, is well worth the convenience of using OOL.